Everything is wirelessly connected nowadays. If you can purchase a refrigerator that sends you a message when your vegetables are going bad, why can’t you stream the audio and video of your phone or desktop to your TV? It turns out you can, and Google just made it a whole lot easier. Let’s take a closer look at how Google Chrome is working to connect all your audio/visual hardware together with Chromecast. In its earliest stages, ‘Casting’ allowed users to stream a device’s screen to a TV with a Chromecast wireless adapter plugged into the HDMI port. Soon after, Google released a second, updated model that added the possibility of connecting to audio-only devices via stereo cable and faster internal hardware to improve streaming to both TVs and stereo systems. Regardless of which model you had previous to last month’s update, individual apps needed to include Casting functionality, and even Google’s own Chrome browser required downloading and installing an extension before users could get the most out of the service. As an industry leader in user experience and design, the engineers at Google knew this had to be fixed. Their solution was a no-brainer, and may even be sitting in your browser this very moment. The Cast feature is now built directly into every updated version of the Chrome. Just click the three stacked lines that act as Chrome’s File menu and select Cast halfway down the menu. Click the arrow to the right of ‘Cast to’ and choose desktop, followed by which Chromecast device you would like to broadcast, and voilà — your computer’s desktop will be duplicated on your Chromecast-enabled TV. Assuming you’re currently connected to a trusted wireless network, we invite you to give it a try right here and now. If you’re confused about why we would suggest such a thing when you haven’t had a chance to go out and buy the necessary hardware adapter, that’s because several big-name TV brands are now installing this functionality directly into their televisions. You may have had this feature all along without even knowing it! Once you’ve mastered casting your screens and audio wirelessly, why not check out all the apps Google has highlighted specifically for this Chrome feature? From NFL streaming to slideshow production, the Play Store has everything you’re looking for to step up your casting game. It’s amazing how something so useful and so accessible could go relatively unnoticed for so long. There are tons of wonderful and exciting features lurking around, even in software as ordinary as your internet browser. 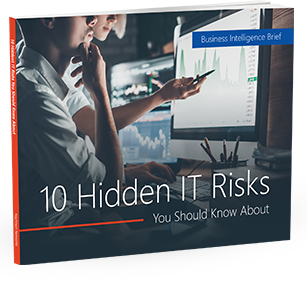 For IT solutions big and small, there’s only one number you need to know — and it’s right at the bottom of this page. Give us a call today.